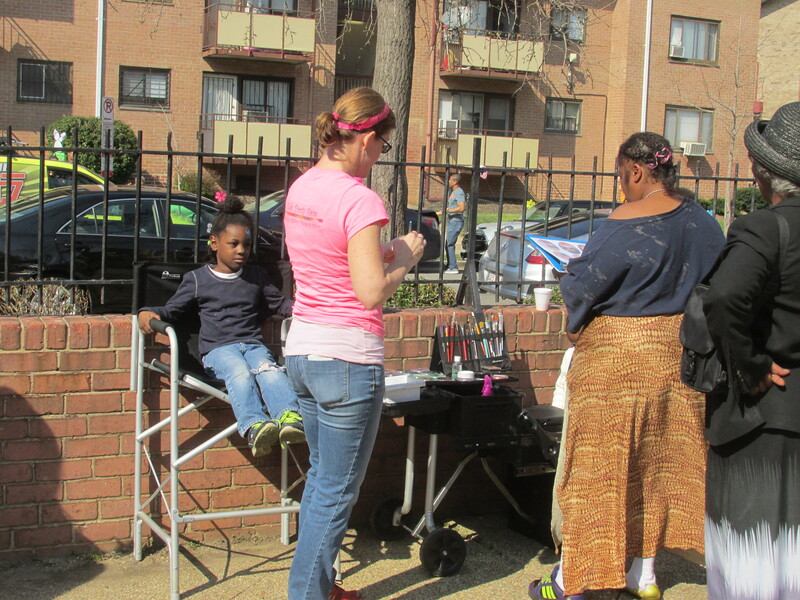 Kids and Adults Enjoy Weekend Easter Events | Park View, D.C. In many parts of Washington this past weekend communities hosted Easter egg hunts and events for families to enjoy. The weather was great as well. 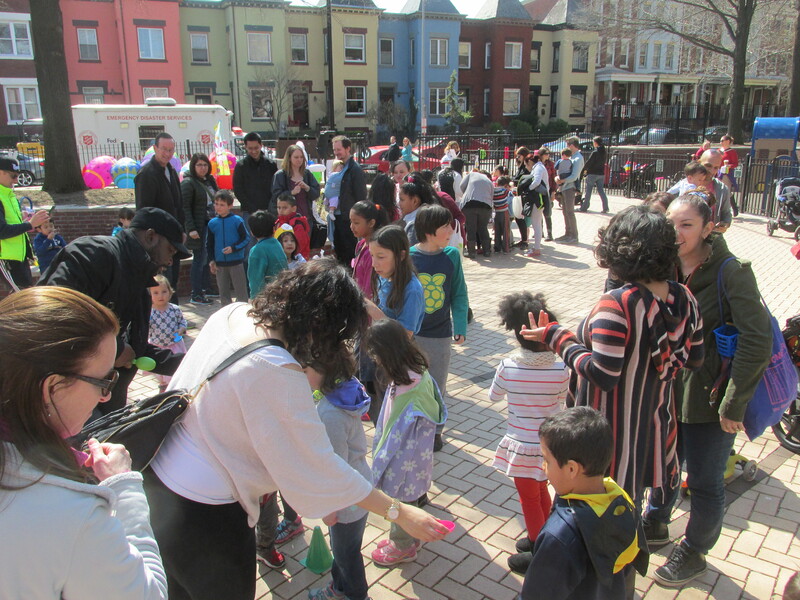 Two events that occurred in and near Park View on Saturday, March 26th, included an Easter celebration at Park Morton and egg races and prizes at the 11th & Monroe Trolley Park. Both events were sponsored by the Friends of the Trolley Park, the North Columbia Heights Civic Association, the Salvation Army Sherman Ave Corps, and other local groups. The Salvation Army provided food including hot dogs. There was a good turn out at the Trolley Park, which was scheduled from noon to 2 pm. You can get a good feel for the gathering from the photo below. The following video also captures one of the egg races (and there were many). The Park Morton celebration was later in the afternoon from 3 pm to 6 pm. In addition to food and an egg hunt, there was music, a moon bounce, ice cream and Italian ice (I tried the blueberry), and face painting. 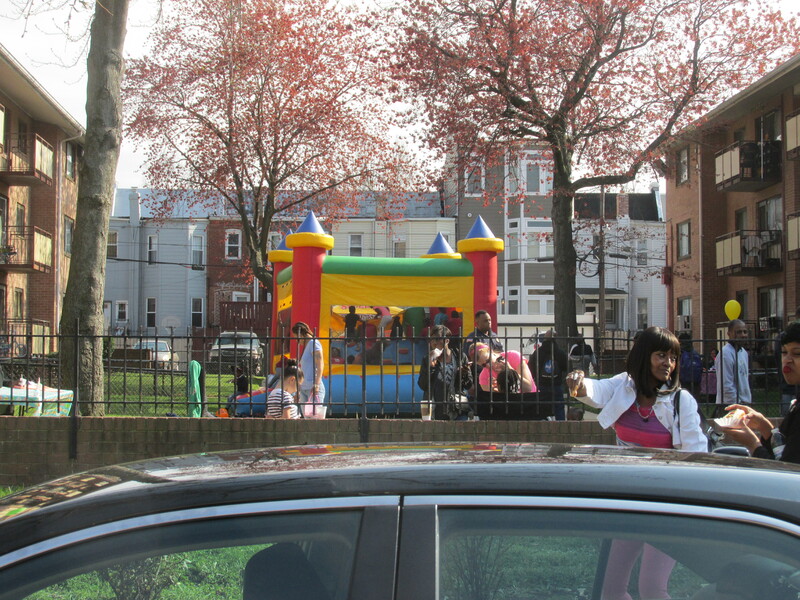 The photos below show the moon bounce and face painting earlier in the day. The Park Morton event was hosted by the Park Morton Resident Council. This entry was posted on March 28, 2016 at 7:01 am and is filed under Celebrations, Holidays. You can subscribe via RSS 2.0 feed to this post's comments.